As the Mother’s Day hype is building, noting the history of Mother’s Day is a good place to start to get this Sunday’s tradition into perspective. The honouring of motherhood was originally connected to goddesses and symbols rather than actual mothers, for example the Egyptian goddess Isis and the Greek Rhea. In Britain, historians think that the tradition of Mothering Sunday is linked to the one day in the year when church goers, working away as domestic servants or apprentices returned to their ‘mother’ or ‘home’ church. In the United States, from 1870 onwards, two women social activists tried to establish Mother’s Day for very different reasons to the giving of cards, flowers and the like. Julia Ward Howe wanted it to be a women’s day of protest against war and Ann Jarvis to campaign for healthier living conditions. It was Ann’s daughter Anna who had Mother’s Day officially recognised but quickly became vehemently opposed to its commercialisation, and spent her inheritance and the rest of her life trying to put an end to it. What would these women make of Mother’s Day now! Understanding the origins of Mother’s Day and the money spinner it has become is only half of what can help us gain perspective on what has become an emotionally loaded day for many people. 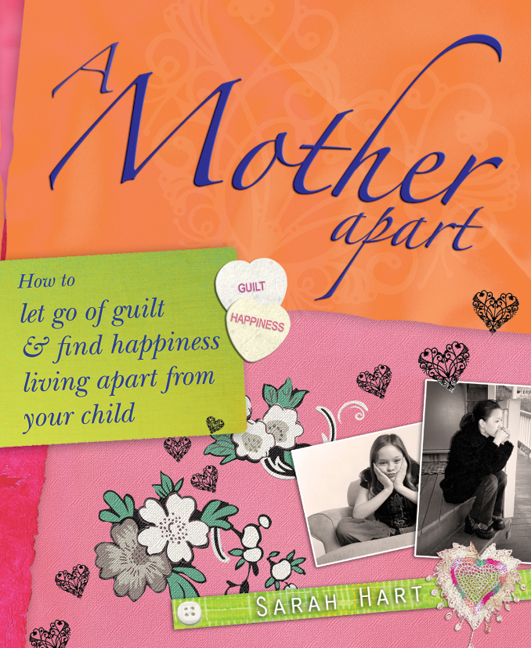 As mothers apart from children, we can maintain perspective by understanding ourselves and being aware of what we need. Compassion for yourself is not self pity or wallowing. It is the first step towards acknowledging your feelings and experience without allowing guilt, shame and self criticism to keep you stuck in pain or avoiding your feelings through addictions or unhealthy behaviour. Whatever your circumstances, whether or not you have contact with your children – treat yourself gently and lovingly on Mother’s Day and every day thereafter. In my work with mothers apart from their children, I hear how women fear the judgement of others: “How could she? She must be a bad mother. What a disgrace!” Although others may have opinions, I nearly always find that what a mother fears she will hear is what she is already telling herself. We are our own worst critics. No one is perfect, we all make mistakes. What matters is your intention right now. Step one: Give your inner critic the day off on Mother’s Day. Say to yourself, “Just for today, I am not going to buy into this negative voice.” Step two, to be taken after Mother’s Day: We can’t change the past or others but we can change how we feel about ourselves by having an honest, compassionate look at our circumstances and reality checking them. Find a trusted friend to talk through and reality check your inner judgements or find professional support to do so if necessary. You might feel you want to block out Mother’s Day. This is very understandable but you can’t stop the world around you and it takes a huge amount of energy to batten down the hatches to keep yourself watertight. You can’t stop your thoughts and feelings. By choosing to make your well being your priority for Mother’s Day, by tuning into what you need to take care of yourself hour by hour – good food, a walk, a fragrant bath, or whatever lifts your spirits – it is possible to find peace of mind. Change is inevitable – accept from vending machines! You never know what is around the corner – a cliché I know but in my counselling practice, working with mothers apart from their children, I know how true this is. Change can happen when you least expect it, sometimes quickly or sometimes years after separation. Keep your heart and door open. Above all, live your life and make yourself happy, you deserve it.